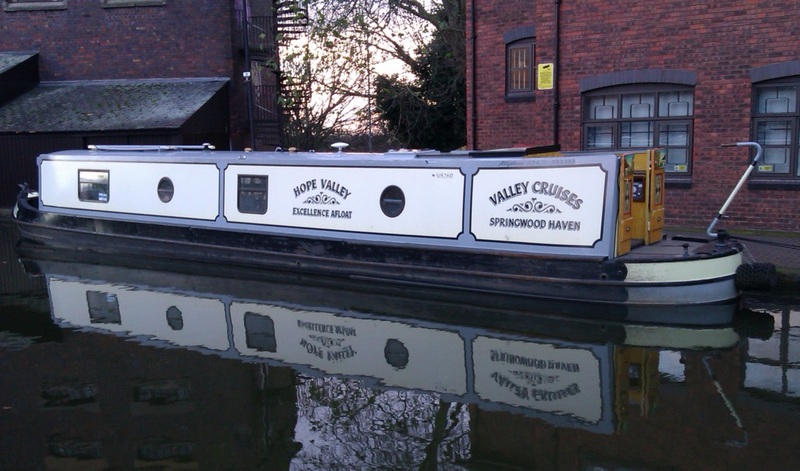 The V-Hope class canal boats. 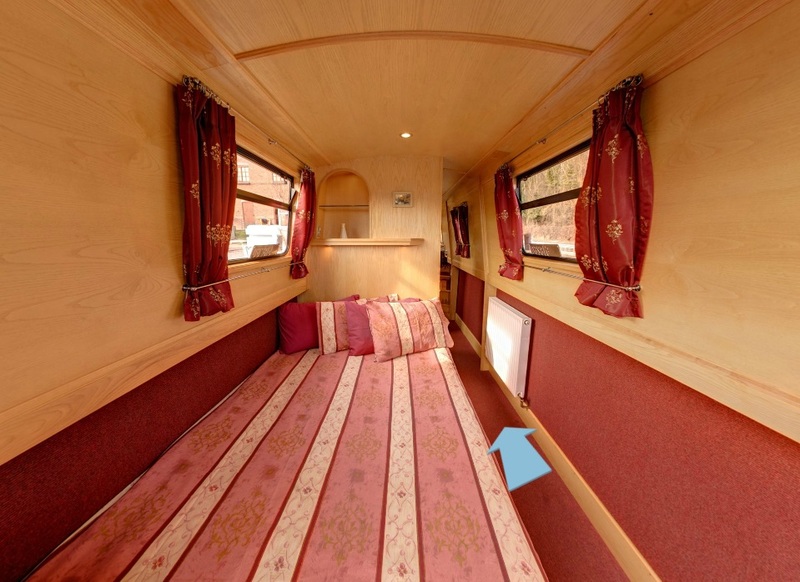 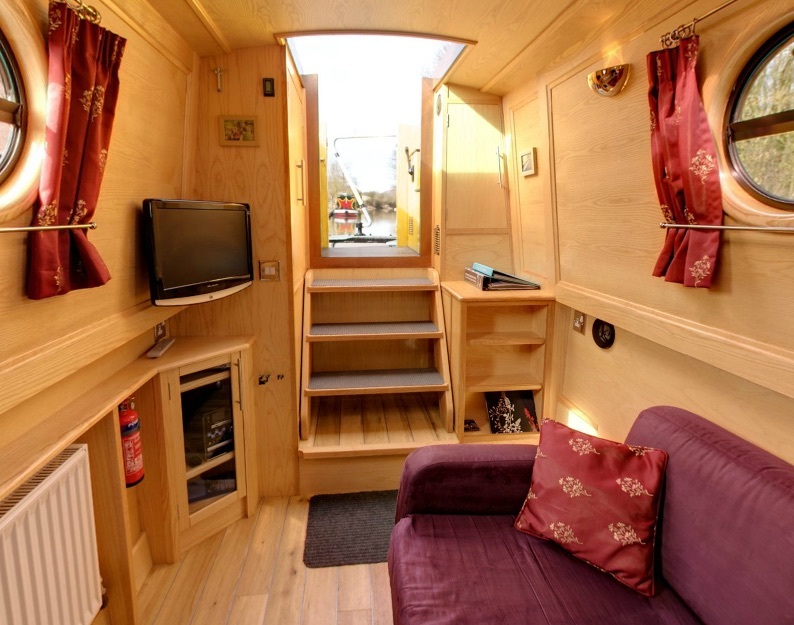 To the rear of the boat is the saloon with sofa bed and TV . 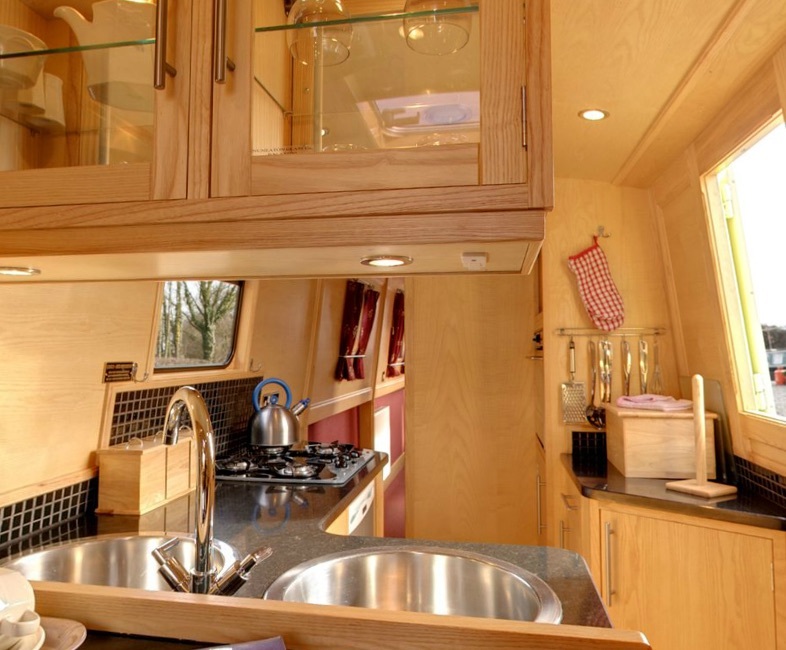 With a semi traditional stern, side hatch, â€˜roses and castlesâ€™ decorations and the highest calibre of furnishing, Hope is every bit as luxurious as a superior quality private boat.